Tickets can be purchased at the door the day of the event, pending availability. Cash Only. Continuous Performances between 7:00 – 10:00 pm. Doors open at 6:30 pm, with the first performance at 700 pm. Food and drinks will be available throughout the event. Menu provided by Tarte Catering. Please note that Level 3 is a NIGHTCLUB and not a theater – there is limited seating available. Children under 5 years of age do not require a ticket. That is a good question! 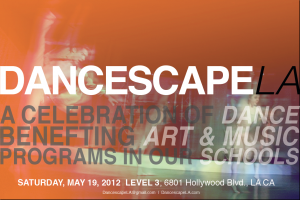 All Dancescape patrons are welcome to stay at the club and dance the rest of the night away….but many dancers have other gigs following the performance that night. Sorry I couldn’t be more help.